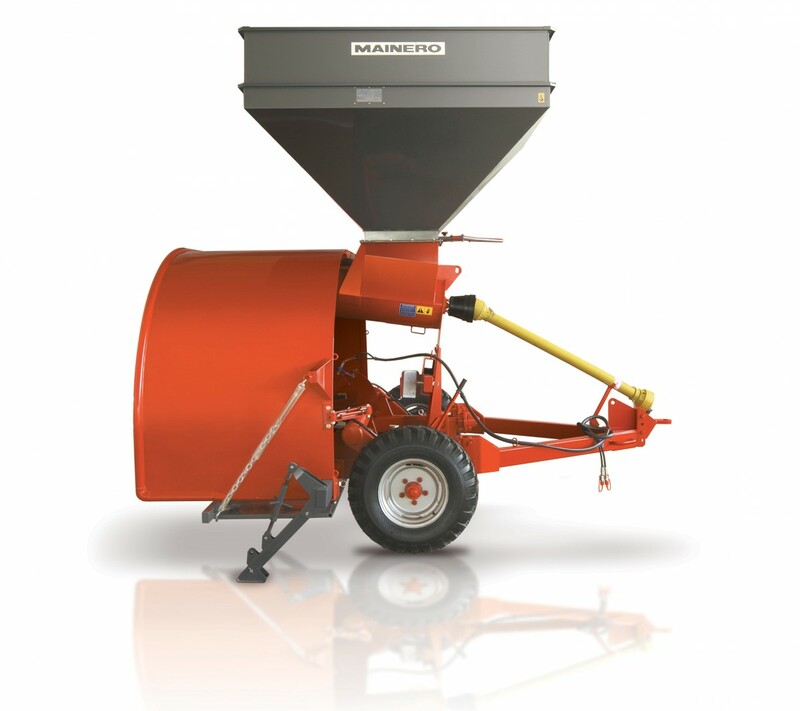 The 2230 model has, as standard equipment, a hopper for receiving material from self-dischargeable trailers. It features a mouth of generous dimensions that eases the operator task. The filling tunnel features the option of working with 9 ft diameter bags (2,74 m) and 60 or 75 m length (65.6 or 82 yd). Due to its “flattened” shape, facilitates the natural flux of material inside the bags, providing an evenly filling that makes the most of the storage capacity. The stretching of the bag and therefore its storage capacity, is adjusted through a disc brake system, mounted over both wheels, and the braking force is graduated by an independent pump, manually operated.